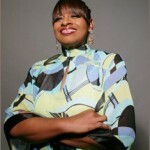 The Sirens Records, whose catalog includes memorable recordings from Gospel Legends Geraldine and Rev. Donald Gay, Rev. Dwayne Mason and Edward Robinson continues its delve into the revered Chicago Gospel sound with its latest release, Lift Me Up. 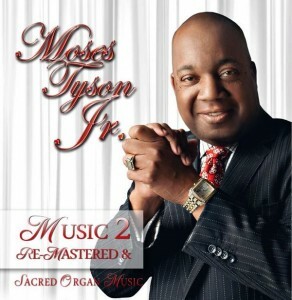 The CD pulls together some of Chicago’s finest keyboard masters including Richard Gibbs (son of Inez Andrews and accompanist for Aretha Franklin), Elsa Harris (longtime member of the Jessy Dixon Singers), Rev. Bryant Jones, Lavelle Lacy, Terry Moore, and Rev. Eric Thomas with master drummer Curtis Fondren for a nostalgic yet spirited encounter with Sunday church music. Lending vocal assistance to the project are Rev. Donald Gay, Rev. DeAndrae Patterson and Dorothy Robertson. 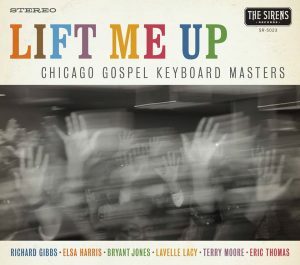 Lift Me Up is a continuation of the label’s efforts to preserve authentic Chicago Blues, Boogie Woogie, Gospel, and Jazz piano music. The disc hits retail outlets during the month of August.